We have previously written on this blog about the problems that can occur when transferring Digital Audio Tapes (DATs). According to preliminary findings from the British Library’s important survey of the UK’s sound collections, there are 3353 DAT tapes in the UK’s archives. While this is by no means a final figure (and does not include the holdings of record companies and DATheads), it does suggest there is a significant amount of audio recorded on this obsolete format which, under certain conditions, is subject to catastrophic signal loss. The conditions we are referring to is that old foe of magnetic tape: mould. In contrast with existing research about threats to DAT, which emphasise how the format is threatened by ‘known playback problems that are typically related to mechanical alignment’, the biggest challenges we consistently face with DATs is connected to mould. Nevertheless, the specific ways mould growth compromise the very possibility of successfully playing back a DAT tape have not yet been fully explored. This in turn shapes the kinds of preservation advice offered about the format. What follows is an attempt to outline the problem of mould growth on DATs which, even in minimal form, can pretty much guarantee the loss of several seconds of recording. 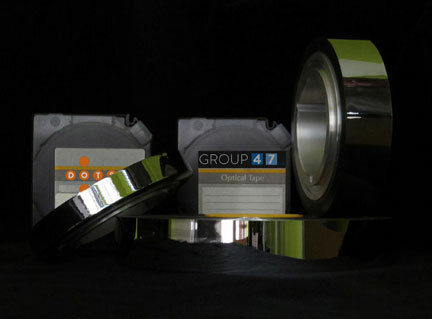 The first problem with DATs is that they are 4mm wide, and very thin in comparison to other forms of magnetic tape. The size of the tape is compounded by the helical method used in the format, which records the signal as a diagonal stripe across the tape. Because tracks are written onto the tape at an angle, if the tape splits it is not a neat split that can be easily spliced together. The only way to deal with splits is to wind the tape back on to the tape transport or use leder tape to stick the tape back together at the breaking point. 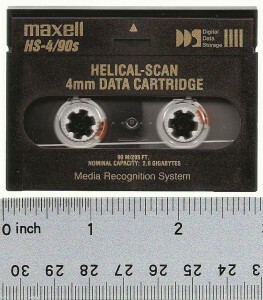 Either way, you are guaranteed to lose a section of the tape because the helical scan has imprinted the recorded signal at a sharp, diagonal angle. If a DAT tape splits, in other words, it cuts through the diagonal signal, and because it is digital rather than analogue audio, this results in irreversible signal loss. And why does the tape split? Because of the mould! If you play back a DAT displaying signs of dormant mould-growth it is pretty much guaranteed to split in a horrible way. The tape therefore needs to be disassembled and wound by hand. This means you can spend a lot of time restoring DATs to a playable condition. Rewinding by hand is however not 100% full proof, and this really highlights the challenges of working with mouldy DAT tape. Often mould on DATs is visible on the edge of the tape pack because the tape has been so tightly wound it doesn’t spread to the full tape surface. In most cases with magnetic tape, mould on the edge is good news because it means it has not spread and infected the whole of the tape. Not so with DAT. Even with tiny bits of mould on the edge of the tape there is enough to stick it to the next bit of tape as it is rewound. When greater tension is applied in an attempt to release the mould, due to stickiness, the tape rips. A possible and plausible explanation for DAT tape ripping is that due to the width and thinness of the tape the mould is structurally stronger than the tape itself, making it easier for the mould growth to stick together. When tape is thicker, for example with a 1/4 ” open reel tape, it is easier to brush off the dormant mould which is why we don’t see the ripping problem with all kinds of tape. Our experience confirms that brushing off dormant mould is not always possible with DATs which, despite best efforts, can literally peel apart because of sticky mould. What, then, is to be done to ensure that the 3353 (and counting) DAT tapes in existence remain in a playable condition? One tangible form of action is to check that your DATs are stored at the appropriate temperature (40–54°F [4.5–12°C]) so that no mould growth develops on the tape pack. The other thing to do is simple: get your DAT recordings reformatted as soon as possible. While we want to highlight the often overlooked issue of mould growth on DATs, the problems with machine obsolescence, a lack of tape head hours and mechanical alignment problems remain very real threats to successful transfer of this format. Our aim at the Great Bear is to continue our research in the area of DAT mould growth and publish it as we learn more. As ever, we’d love to hear about your experiences of transferring mouldy DATs, so please leave a comment below if you have a story to share. Sometimes genuine rarities turn up at the Great Bear studio. Our recent acquisition of four reels of ‘missing, believed wiped’ test recordings of cult BBC TV show The Old Grey Whistle Test is one such example. It is not only the content of these recordings that are interesting, but their form too, because they were made on 1” type A videotape. 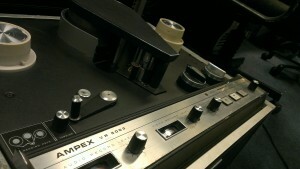 The Ampex Corporation introduced 1” Society of Motion Picture and Television Engineers (SMPTE) type A videotape in 1965. 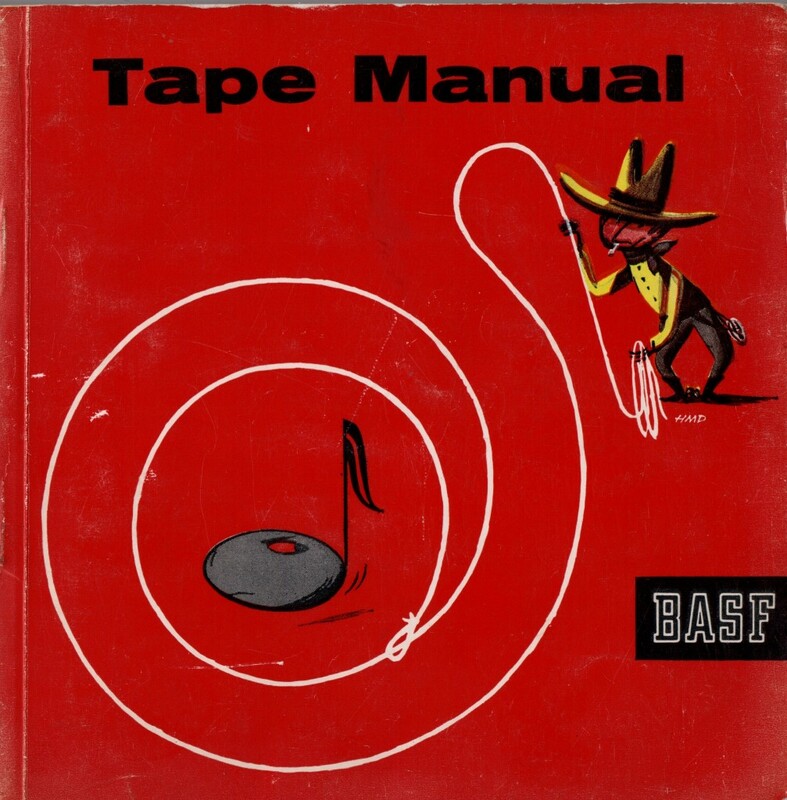 The 1″ type A was ‘one of the first standardized reel-to-reel magnetic tape formats in the 1 inch (25 mm) width.’ In the US it had greatest success as an institutional and industrial format. It was not widely adopted in the broadcast world because it did not meet Federal Communications Commission (FCC) specifications for broadcast videotape formats—it was capable of 350 lines, while the NTSC standard was 525, PAL and SECAM were 625 (for more information on television standards visit this page, also note the upcoming conference ‘Standards, Disruptions and Values in Digital Culture and Communication‘ taking place November 2015). 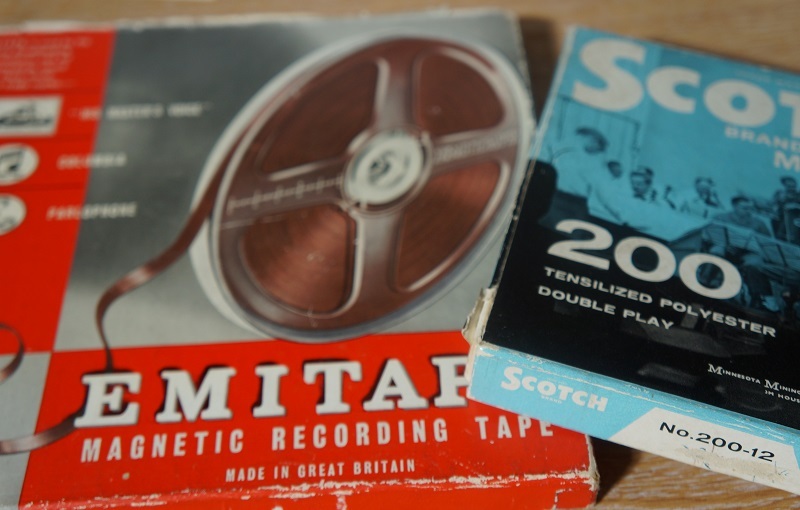 According the VT Old Boys website, created by ex-BBC engineers in order to document the history of videotape used at the organisation, 2″ Quadruplex tape remained very much the norm for production until the end of the 1970s. Yet the very existence of the Old Grey Whistle Test tapes suggests type A videotape was being used in some capacity in the broadcast world. Perhaps ADAPT, a project researching British television production technology from 1960-present, could help us solve this mystery? From type A, to type B…. As these things go, type A was followed by type B, with this model developed by the German company Bosch. Introduced in 1976, type B was widely adopted in continental Europe, but not in UK and USA which gravitated toward the type C model, introduced by SONY/ Ampex, also in 1976. Type C then became the professional broadcast standard and was still being used well into the 1990s. 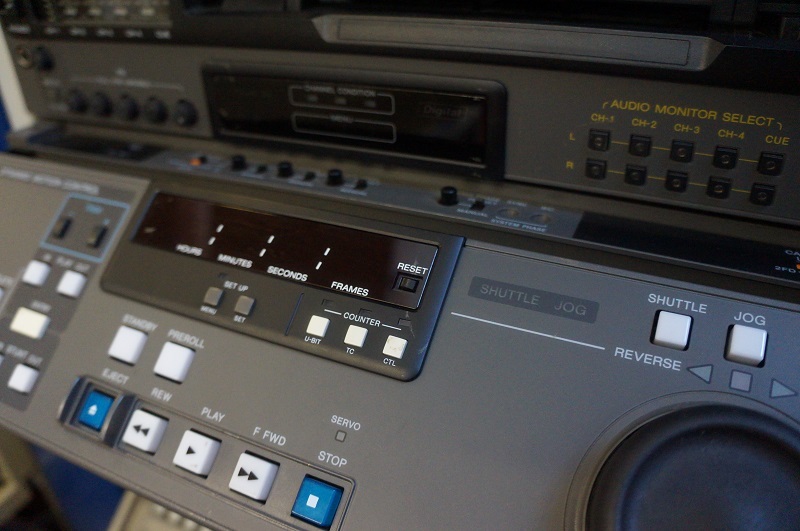 It was able to record high quality composite video, and therefore had an advantage over component videos such as Betacam and MII that were ‘notoriously fussy and trouble-prone.‘ Type C also had fancy functions like still, shuttle, variable-speed playback and slow motion. 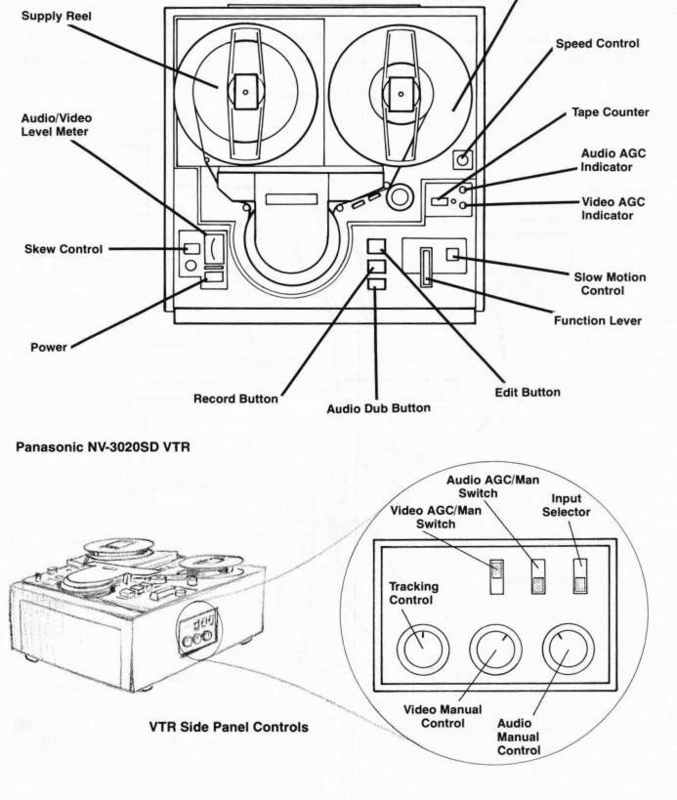 AMPEX made over 30 SMPTE type A models, the majority of which are listed here. Yet the number of working machines we have access to today is few and far between. In years to come it will be common for people to say ‘it takes four 1” type A tape recorders to make a working one’, but remember where you heard the truism first. Harvesting several of these hulking, table-top machines for spares and working parts is exactly how we are finding a way to transfer these rare tapes—further evidence that we need to take the threat of equipment obsolescence very seriously. At the beginning of 2015, the British Library launched the landmark Save Our Sounds project. Yes you have read that correctly dear reader: by 2030 it is likely that we simply will not be able to play many, if not all of the tape we currently support at Great Bear. 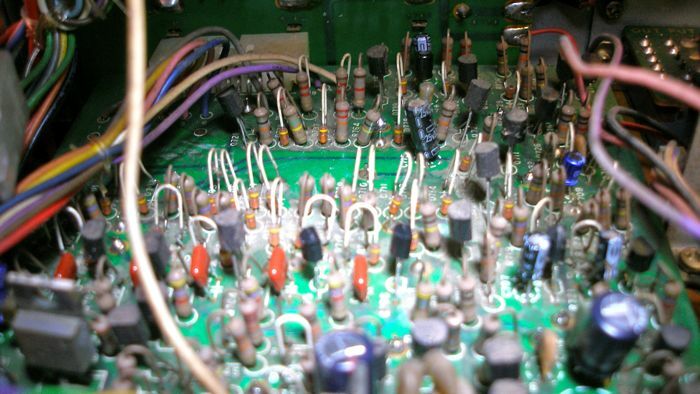 A combination of machine obsolescence, tape deterioration and, crucially, the widespread loss of skills necessary to repair, service and maintain playback machines are responsible for this astounding situation. They will make it ‘costly, difficult and, in many cases, impossible’ to preserve our recorded audio heritage beyond the proposed cut-off date. While such news might (understandably) usher in a culture of utter panic, and, let’s face it, you’d have to have a strong disposition if you were charged with managing the Save Our Sounds project, the British Library are responding with stoic pragmatism. They are currently undertaking a national audit to map the conditions of sound archives which your organisation can contribute to. Yet whatever way you look at it, there is need to take action to migrate any collections currently stored on obsolete media, particular if you are part of a small organisation with limited resources. The reality is it will become more expensive to transfer material as we move closer to 2030. The British Library project relates particularly to audio heritage, but the same principles apply to audiovisual collections too. Yes that rumbling you can hear is the sound of archivists the world over engaged in flurry of selection and appraisal activities…. One of the most interesting things about discussions of obsolete media is that the question of operability is often framed as a matter of life or death. ‘Extinct: Only one or two playback machines may exist at specialist laboratories. The tape itself is more than 20 years old. Critically endangered: There is a small population of ageing playback machinery, with no or little engineering or manufacturing support. Anecdotal evidence indicates that there are fewer working machine-hours than total population of tapes. 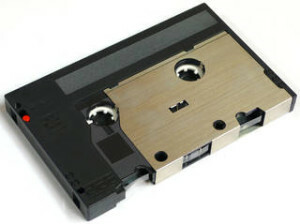 Tapes may range in age from 40 years to 10 years. Endangered: The machine population may be robust, but the manufacture of the machinery has stopped. Manufacturing support for the machines and the tapes becomes unavailable. The tapes are often less expensive, and more vulnerable to deterioration. Threatened: The playback machines are available; however, either the tape format itself is unstable or has less integrity than other available formats, or it is known that a more popular or updated format will be replacing this one in a short period of time. Vulnerable: This is a current but highly proprietary format. The ratings on the video preservation website were made over ten years ago. A more comprehensive and regularly updated resource to consult is the Preservation Self-Assessment Program (PSAP), ‘a free online tool that helps collection managers prioritize efforts to improve conditions of collections. Through guided evaluation of materials, storage/exhibit environments, and institutional policies, the PSAP produces reports on the factors that impact the health of cultural heritage materials, and defines the points from which to begin care.’ As well as audiovisual media, the resource covers photo and image material, paper and book preservation. It also has advice about disaster planning, metadata, access and a comprehensive bibliography. The good news is that fantastic resources do exist to help archivists make informed decisions about reformatting collections. 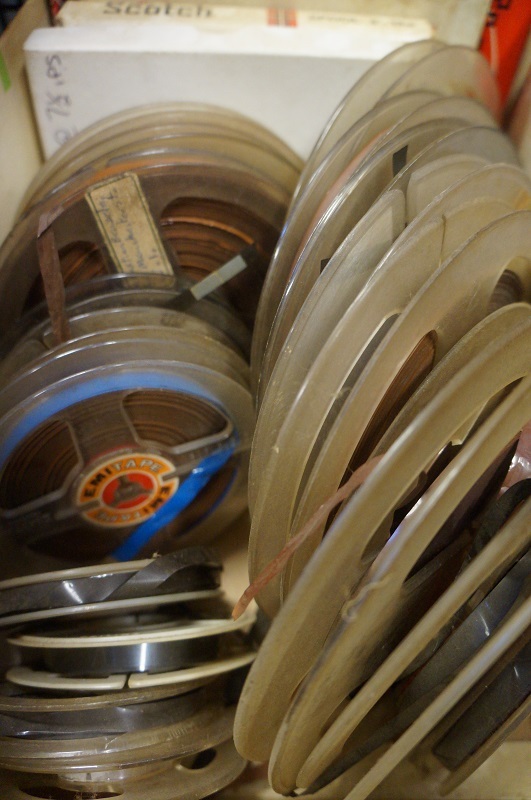 The bad news, of course, is that the problem faced by audiovisual archivists is a time-limited one, exacerbated no doubt by the fact that digital preservation practices on the ‘output end’ are far from stable. Finding machines to playback your Digital Compact Cassette collection, in other words, will only be a small part of the preservation puzzle. A life of file migrations in yet to be designed wrappers and content-management systems awaits all kinds of reformatted audiovisual media in their life-to-come as a digital archival object. Depending on the ‘content value’ of any collection stored on obsolete media, vexed decisions will need to be made about what to keep and what to throw away at this clinical moment in the history of recorded sound. At such a juncture, when the fifteen year warning has been sounded, perhaps we can pause for a second to reflect on the potential extinction of large swathes of audio visual memory. If we accept that any kind of recording both contains memory (of a particular historical event, or performance) and helps us to remember as an aide-mémoire, what are the consequences when memory storage devices which are, according to UNESCO, ‘the primary records of the 20th and 21st centuries’, can no longer be played back? These questions are of course profound, and emerge in response to what are consequential historical circumstances. 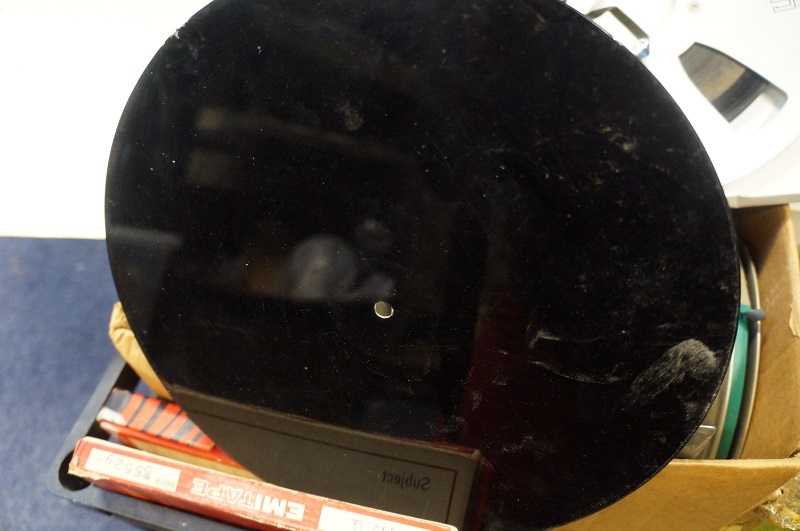 They are questions that we will continue to ponder on the blog as we reflect on our own work transferring obsolete media, and maintaining the machines that play them back. There are no easy answers! As the 2030 deadline looms, our audiovisual context is a sobering retort to critics who framed the widespread availability of digitisation technologies in the first decade of the 21st century as indicative of cultural malaise—evidence of a culture infatuated with its ‘past’, rather than concerned with inventing the ‘future’. Perhaps we will come to understand the 00s as a point of audiovisual transition, when mechanical operators still functioned and tape was still in fairly good shape. When it was an easy, almost throw away decision to make a digital copy, rather than an immense preservation conundrum. So where once there was a glut of archival data—and the potential to produce it—is now the threat of abrupt and irreversible dropout. Play those tapes back while you can! This is the stuff of digital information managers’ dreams. No more worrying about active data management, file obsolescence or that escalating energy bill. Imagine how simple life would be if there was a way to store digital information that could last, without intervention, for nearly 100 years. Those precious digital archives could be stored in a warehouse that was not climate controlled, because the storage medium was resilient enough to withstand irregular temperatures. Imagine after 100 years an archivist enters that very same warehouse to retrieve information requested by a researcher. The archivist pulls a box off the shelf and places it on the table. 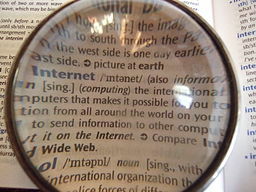 In their bag they have a powerful magnifying glass which they use to read the information. Having ascertained they have the correct item, they walk out the warehouse, taking the box with them. Later that day, instructions provided as part of the product licensing over 100 years ago are used to construct a reader that will retrieve the data. The information is recovered and, having assessed the condition of the storage medium which seems in pretty good nick, the digital optical technology storage is taken back to the warehouse where it sits for another 10 years, until it is subject to its life-cycle review. Does this all sound too good to be true? For anyone exposed to the constantly changing world of digital preservation, the answer would almost definitely be yes. We have already covered on this blog numerous issues that the contemporary digital information manager may face. 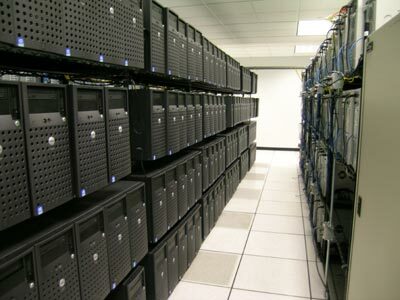 The lack of standardisation in technical practices and the bewildering array of theories about how to manage digital data mean there is currently no ‘one size fits all’ solution to tame the archive of born-digital and digitised content, which is estimated to swell to 3,000 Exabytes (thousands of petabytes) by 2020*. We have also covered the growing concerns about the ecological impact of digital technologies, such as e-waste and energy over-consumption. With this in mind, the news that a current technology exists that can by-pass many of these problems will seem like manna from heaven. What can this technology be and why have you never heard about it? The technology in question is called DOTS, which stands for Digital Optical Technology System. The technology is owned and being developed by Group 47, who ‘formed in 2008 in order to secure the patents, designs, and manufacturing processes for DOTS, a proven 100-year archival technology developed by the Eastman Kodak Company.’ DOTS is refreshingly different from every other data storage solution on the market because it ‘eliminates media and energy waste from forced migration, costly power requirements, and rigid environmental control demands’. What’s more, DOTS are ‘designed to be “plug & play compatible” with the existing Linear Tape Open (LTO) tape-based archiving systems & workﬂow’. Robust indeed! DOTS is also non-magnetic, chemically inert, immune from electromagnetic fields and can be stored in normal office environments or extremes ranging from -9º – 65º C. It ticks all the boxes really. The only discernible benefit of the ‘open all hours’, random access digital information culture over a storage solution such as DOTS is accessibility. While it certainly is amazing how quick and easy it is to retrieve valuable data at the click of a button, it perhaps should not be the priority when we are planning how to best take care of the information we create, and are custodians of. The key words here are valuable data. Emerging norms in digital preservation, which emphasise the need to always be responsive to technological change, takes gambles with the very digital information it seeks to preserve because there is always a risk that migration will compromise the integrity of data. The constant management of digital data is also costly, disruptive and time-consuming. In the realm of cultural heritage, where organisations are inevitably under resourced, making sure your digital archives are working and accessible can sap energy and morale. These issues of course affect commercial organisations too. The truth is the world is facing an information epidemic, and surely we would all rest easier if we knew our archives were safe and secure. Indeed, it seems counter-intuitive that amid the endless flashy devices and research expertise in the world today, we are yet to establish sustainable archival solutions for digital data. Of course, using a technology like DOTS need not mean we abandon the culture of access enabled by file-based digital technologies. It may however mean that the digital collections available on instant recall are more carefully curated. Ultimately we have to ask if privileging the instant access of information is preferable to long-term considerations that will safeguard cultural heritage and our planetary resources. It would be wrong to assume that Group 47’s development of DOTS is not driven by commercial interests – it clearly is. DOTS do however seem to solve many of the real problems that currently afflict the responsible and long-term management of digital information. It will be interesting to see if the technology is adopted and by who. Watch this space! What a year it has been in the life of Great Bear Analogue and Digital Media. 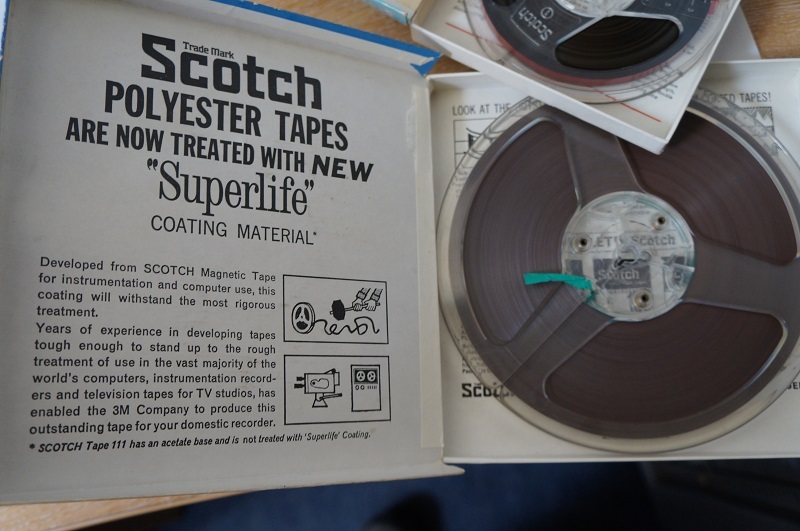 As always the material customers have sent us to digitise has been fascinating and diverse, both in terms of the recordings themselves and the technical challenges presented in the transfer process. At the end of a busy year we want to take this opportunity to thank our customers for sending us their valuable tape collections, which over the course of 2013 has amounted to a whopping 900 hours of digitised material. We feel very honoured to play a part in preserving personal and institutional archives that are often incredibly rare, unique and, more often than not, very entertaining. 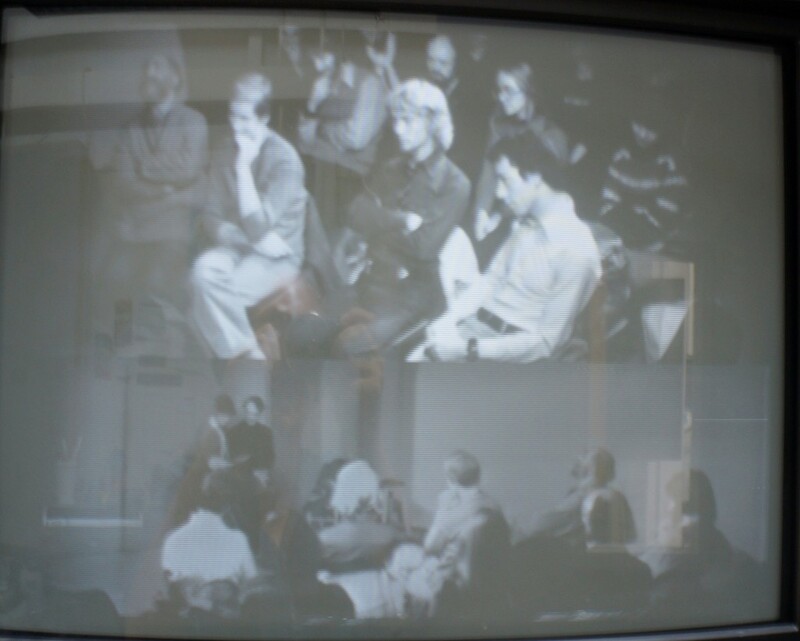 It is a fairly regular occurrence in the Great Bear Studio to have radio jingles from the 60s, oral histories of war veterans, recordings of family get-togethers and video documentation of avant-garde 1970s art experiments simultaneously migrating in a vibrant melee of digitisation. Throughout the year we have been transported to a breathtaking array of places and situations via the ‘mysterious little reddish-brown ribbon.’ Spoken word has featured heavily, with highlights including Brian Pimm-Smith‘s recordings of his drive across the Sahara desert, Pilot Officer Edwin Aldridge ‘Finn’ Haddock’s memories of World-War Two, and poet Paul Roche reading his translation of Sophocles’ Antigone. We have also received a large amount of rare or ‘lost’ audio recordings through which we have encountered unique moments in popular music history. These include live recordings from the Couriers Folk Club in Leicester, demo tapes from artists who achieved niche success like 80s John Peel favourites BOB, and large archives of prolific but unknown songwriters such as the late Jack Hollingshead, who was briefly signed to the Beatles’ Apple label in the 1960s. We always have a steady stream of tapes from Bristol Archive Records, who continue to acquire rare recordings from bands active in the UK’s reggae and post-punk scenes. We have also migrated VHS footage of local band Meet Your Feet from the early 1990s. On our blog we have delved into the wonderful world of digital preservation and information management, discussing issues such as ‘parsimonious preservation‘ which is advocated by the National Archives, as well as processes such as migration, normalisation and emulation. Our research suggests that there is still no ‘one-size-fits-all’ strategy in place for digital information management, and we will continue to monitor the debates and emerging practices in this field in the coming year. Migrating analogue and digital tapes to digital files remains strongly recommended for access and preservation reasons, with some experts bookmarking 15 April 2023 as the date when obsolescence for many formats will come into full effect. We have been developing the blog into a source of information and advice for our customers, particularly relating to issues such as copyright and compression/ digital format delivery. We hope you have found it useful! While the world is facing a growing electronic waste crisis, Great Bear is doing its bit to buck the trend by recycling old domestic and professional tape machines. In 2013 we have acquired over 20 ‘new’ old analogue and digital video machines. This has included early 70s video cassette domestic machines such as the N1502, up to the most recent obsolete formats such as Digital Betacam. We are always looking for old machines, both working and not working, so do get in touch if your spring clean involves ridding yourself of obsolete tape machines! Our collection of test equipment is also growing as we acquire more wave form monitors, rare time-based correctors and vectorscopes. 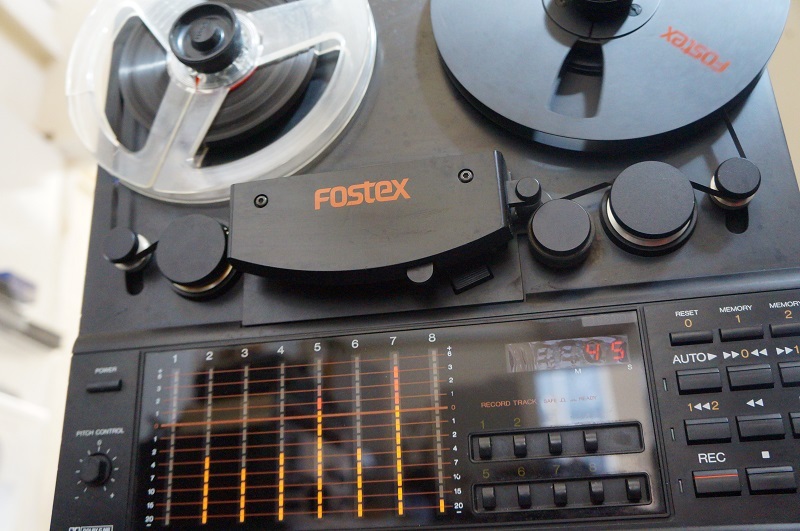 In audio preservation we’ve invested heavily in early digital audio machines such as multi-track DTRS and ADAT machines which are rapidly becoming obsolete. We are very much looking forward to new challenges in 2014 as we help more people migrate their tape-based collections to digital formats. We are particularly keen to develop our work with larger archives and memory institutions, and can offer consultation on technical issues that arise from planning and delivering a large-scale digitisation project, so please do get in touch if you want to benefit from our knowledge and experience. Once again a big thank you from us at Greatbear, and we hope to hear from you in the new year. 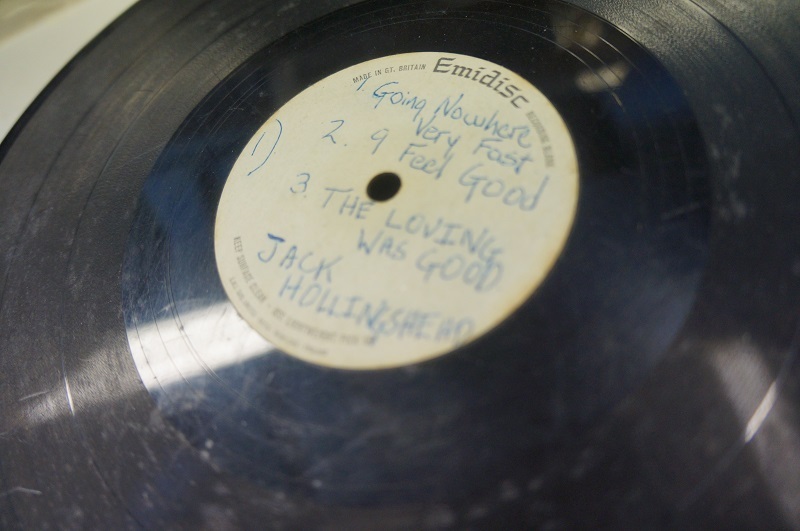 Digital technologies have helped to salvage all manner of ‘lost’ or ‘forgotten’ recordings. Whole record labels, from the recently featured Bristol Archive Records to institutional collections like Smithsonian Folkways, are based on the principle of making ‘hard to access’ recordings available in digital form. Occasionally we get such rare recordings in the Great Bear studio, and we are happy to turn the signal from analogue to digital so the music can be heard by new audiences. 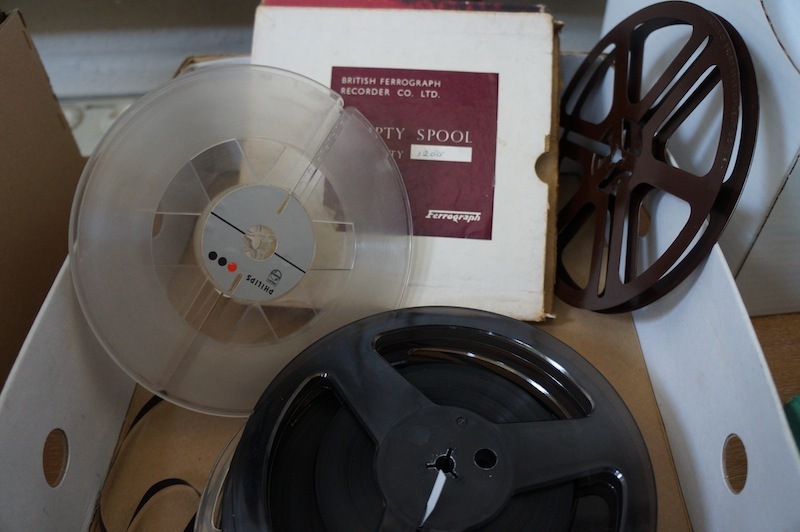 Last week we were sent a particularly interesting collection of tapes: a box of nearly 40 3”-10.5” reel to reel tapes from the songwriter and artist Jack Hollingshead, who sadly passed away in March 2013. The tapes are in good condition, although the spools are pretty dirty, most probably from being stored under the bed or at the back of a cupboard, as these things often are! Jack’s tape came to our attention after a phone call from the writer Stefan Granados, who wanted to arrange for a few songs to be digitised for a research project he is doing focused around the Beatles’ Apple Records company. The Beatles set up Apple Records in 1968 as an outlet for their own and emerging artists’ recordings. Well known performers who were signed to Apple included Mary Hopkin, Ravi Shankar, James Taylor and many others. But there were also a number of artists who recorded sessions with Apple, but for one reason or another, their music was never released on the label. This is what happened to Jack’s music. Jack’s Apple sessions are psychedelic pop-folk songs with striking melodies, song cousins of drowsy Beatles hits like ‘Across the Universe’. He recorded seven songs in total, which we received on magnetic tape and acetate disc, the test cut of the recording that would have been printed on vinyl. We digitised from the magnetic tape because the disc was in fairly poor condition and we didn’t know how many times the disc had been played. It wasn’t the first time that Jack’s work had aroused record company interest. When he was 16 he signed a contract with Aberbach publishers. Like his experience with Apple a few years later, nothing came of the sessions, and because the companies owned the recordings, he was not able to release them independently. Jack soon became very frustrated by the record industry in the late 1960s and decided he would do it himself. This was ten years before home recording became widely accessible, so it was not easy, either financially or technically. In the 1970s a series of serious accidents, and a spell in prison, proved to be disruptive for his musical career. Jack’s prison sentence, received for growing marijuana he was using for medical pain relief purposes, was however fairly positive. It gave him time to focus on playing guitar and he wrote his best songs while incarcerated. He continued to write and record music throughout his life, and there is a significant amount of material that Trina Grygiel, who is responsible for managing Jack’s estate, is determined to organise and release in his memory. 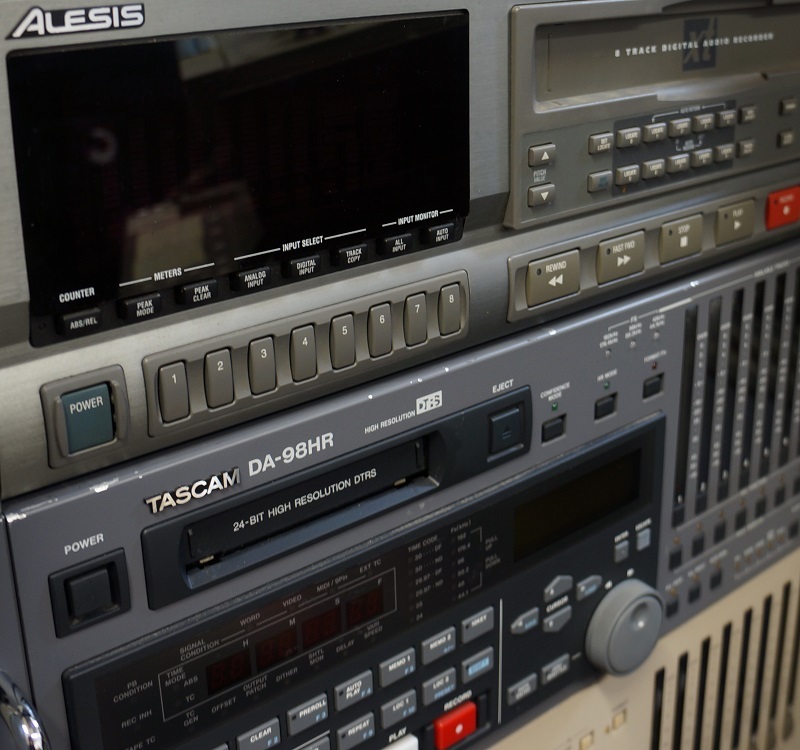 Even relatively recent born digital formats like Digital Betacam or DigiBeta, as it’s often referred to, should be viewed as a potentially obsolete format. This Standard Definition (SD) format while very popular for many years is not the preferred delivery format now the industry has embraced High Definition (HD). When serviced these machines are very reliable and would be worked hard in a production environment. Designed to be serviced with little expense spared these were some of Sony’s most expensive decks and even if second hand values of machines have dropped recently, new spares have not. As with most video formats though as they become less popular the spares availability will become a problem as parts inventory dry up. One day and it may not be that far away a popular format like DigiBeta will become a threatened, obsolete format. Digital Betacam recorders were introduced in 1993, superseding the Betacam and Betacam SP, while costing significantly less, and being dramatically smaller than (! ), the D-1. We are particularly pleased with this machine because there are relatively low hours on its original head drum (1000 hours). The average headlife for this format is up to three times that or more, depending on the environment it was used in. If the machine was used in a heavy production environment, for example, it would be constantly drawing in air to cool the electronics and, potentially, large amounts of dust and debris with it. This is one of the factors affecting head life. Part of the service kit installed on the digi-beta is designed to counter such damage because it allows you to replace the filters around the head drum area should they become clogged. The big problem, as with so many of these machines, is acquiring relevant parts to ensure they can be serviced when they break down. 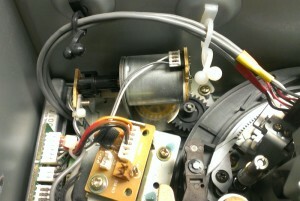 Spare parts for digi-beta machines can be expensive, costing several thousand pounds for a replacement head drum. This machine has needed some work recently to keep it running smoothly. The loading gear had split which meant it couldn’t load tapes and gave reel motor errors. These were fixed easily by replacing the broken parts. After these repairs were completed the picture was still however displaying errors. 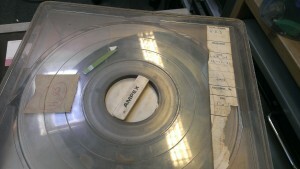 This was because the bearing on the pinch roller was worn resulting in too much movement in the tape path. With the problem diagnosed a new pinch roller was installed and our new machine is working beautifully! So send us your digi-beta tapes! In 2005 UNESCO (United Nations Education, Scientific and Cultural Organisation) decided to commemorate 27 October as World Audiovisual Heritage Day. The theme for 2013 was ‘Saving Our Heritage for the Next Generation’. Even though we are a day late, we wanted to write a post to mark the occasion. 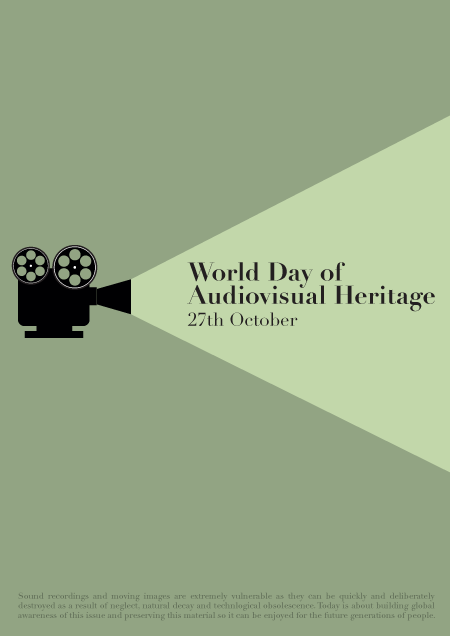 World Audiovisual Heritage Day aims to recognise both the value and vulnerability of audiovisual heritage. It aims to raise awareness that much important material will be lost unless ‘resources, skills, and structures’ are established and ‘international action’ taken. World Audiovisual Heritage Day is an ideal opportunity to delve into UNESCO’s Memory of the World collection whose audiovisual register features rare footage including photo and film documentation of Palestinian refugees, footage of Fritz Lang’s motion picture Metropolis (1927), documentary heritage of Los olvidados (“The Young and the Damned”), made in 1950 by Spanish-Mexican director Luis Buñuel, documentary heritage of Aram Khachaturian the world renowned Armenian composer and many others. Of the 301 items in the Memory of the World collection, 57 are audiovisual or have significant audiovisual elements. Digital preservation is central to our work at the Great Bear. 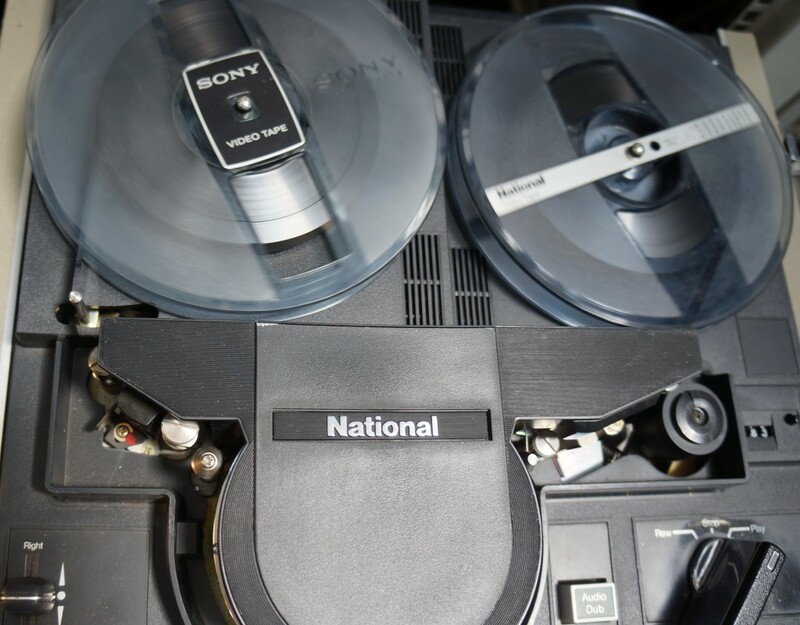 We see ourselves as an integral part of the wider preservation process, offering a service for archive professionals who may not always have access to obsolete playback machines, or expert technical knowledge about how best to transfer analogue tape to digital formats. So if you need help with a digitisation project why not get in touch? UNESCO would surely approve of our work because we help keep the audiovisual memory of the world alive. We have been featuring various theories about digital information management on this blog in order to highlight some of the debates involved in this complex and evolving field. To offer a different perspective to those that we have focused on so far, take a moment to consider the principles of Parsimonious Preservation that has been developed by the National Archives, and in particular advocated by Tim Gollins who is Head of Preservation at the Institution. In some senses the National Archives seem to be bucking the trend of panic, hysteria and (sometimes) confusion that can be found in other literature relating to digital information management. The advice given in the report, ‘Putting Parsimonious Preservation into Practice‘, is very much advocating a hands-off, rather than hands-on approach, which many other institutions, including the British Library, recommend. The principle that digital information requires continual interference and management during its life cycle is rejected wholesale by the principles of parsimonious preservation, which instead argues that minimal intervention is preferable because this entails ‘minimal alteration, which brings the benefits of maximum integrity and authenticity’ of the digital data object. 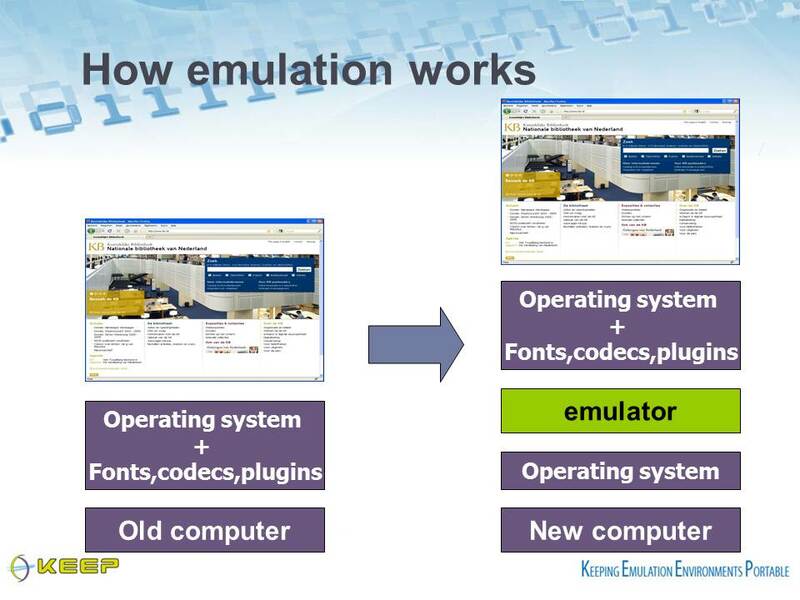 As detailed in our previous posts, cycles of coding and encoding pose a very real threat to digital data. This is because it can change the structure of the files, and risk in the long run compromising the quality of the data object. Minimal intervention in practice seems here like a good idea – if you leave something alone in a safe place, rather than continually move it from pillar to post, it is less likely to suffer from everyday wear and tear. With digital data however, the problem of obsolescence is the main factor that prevents a hands-off approach. This too is downplayed by the National Archives report, which suggests that obsolescence is something that, although undeniably a threat to digital information, it is not as a big a worry as it is often presented. It is worth mentioning here that the Parsimonious Preservation report only includes references to file extensions that relate to image files, rather than sound or moving images, so it would be a mistake to assume that the principle of minimal intervention can be equally applied to these kinds of digital data objects. Furthermore, .doc files used in Microsoft Office are not always consistent over time – have you ever tried to open a word file from 1998 on an Office package from 2008? You might have a few problems….this is not to say that Gollins doesn’t know his stuff, he clearly must do to be Head of Preservation at the National Archives! It is just this ‘hands-off, don’t worry about it’ approach seems odd in relation to the other literature about digital information management available from reputable sources like The British Library and the Digital Preservation Coalition. Perhaps there is a middle ground to be struck between active intervention and leaving things alone, but it isn’t suggested here! Whether or not such an approach is naïve, neglectful or very wise, only time will tell. The Great Bear studio always has a wealth of interesting material in it, that somehow have survived the test of time. From racks stacked full of obsolete audio and video tape machines, to the infinite varieties of reel-to-reel tape that were produced by companies such as Scotch, E.M.I. 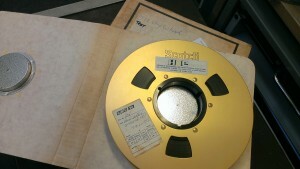 and Irish Recording Tape. As objects in themselves they are fascinating, instilled with the dual qualities of fragility and resilience, the boxes worn at the edges and sometimes marked with stamps, identificatory stickers or scrawled, handwritten notes. Often when we think about the reasons to digitise magnetic tape collections we are considering the future. We digitise to make material accessible so it can be used again, or to preserve it so subsequent generations can benefit or learn from it. But how sustainable is digitisation and digital technology? What is the ecological impact of the widespread and breathtakingly fast adoption of digital technologies since the late 1990s? The extent of violence and exploitation that lie at the end of the digital supply chain is hardly a secret. At a consumer level there seems to be very little resistance to the use of mobile digital devices, probably because our very social existence is dependent upon them in a culture where media is pervasive. It is not easy to opt out, and what would you do if you did? Yet these are speculations not empirical fact. It is hard to know concretely what the environmental consequences of becoming immediate adopters of the latest (fastest, smallest, bestest) digital technologies are. One thing is certain, new goods will appear and people will be told they can’t live without them. This is how an economy driven by innovation works. Thinking about the uptake of digital technologies at an institutional level, it is clear that within a technological climate pre-disposed to the production of ‘digital waste’ and obsolescence, the mismanagement of energy resources in order to keep digital data ‘alive’ (that is useable, accessible) is a real possibility. One only need turn to the financial and technological waste produced from the BBC’s Digital Media Initiative (DMI) to confirm that the creation of technical systems devised to manage large digital archives are not moving at the same relentless speed as the neoliberal market. 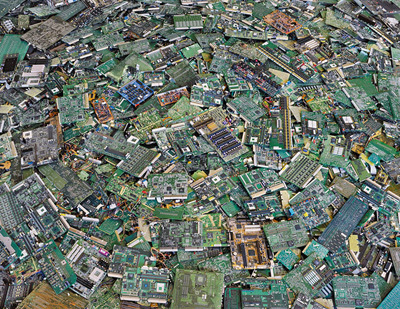 Which begs the question: can there be an ecological solution to the problem of digitisation, and the use of digital technologies in an innovation/ obsolescence economy? Can digitisation ever be energy efficient, non-exploitative and flexible enough to cope with the technological changes that will inevitably happen? What would a sustainable and ethical approach to digital information management look like? As our world gets increasingly networked these are pressing questions effecting everyone. And clearly understanding the wider impact of the use of technology on people and the earth is a serious issue, usually forgotten when scrolling through data feeds in a voracious, but often distracted, manner. These are admittedly big questions and we welcome comments, links and ideas on how to answer them. As keen hoarders of mechanical waste from the analogue era who are passionate about making data accessible in digital form, we are contributing to a world that places unprecedented value on technological information. Need this, however, always be at the expense of people and the world we share as currently it seems to be? What is the future of analogue media? Although careful not to make too clinical a statement, he bookmarks 15 April 2023 as the date when analogue obsolescence really kicks in. We have written extensively on this blog about the problem of obsolescence, and how we collect machines and learn the skills to fix them. A major problem is finding spare parts for machines after manufacturers stop producing them. Many components were made according to very precise specifications that are hard to make from scratch. When machines and their parts wear out it will therefore be difficult, if not impossible, to keep them working. This means that the cost of transfers will rise due to machine scarcity. At an institutional level this may lead to selective decisions about what gets digitised and what doesn’t. There is one analogue format that has flourished in the 21st century: vinyl. Writing for music magazine The Wire, Numero Group’s Rob Sevier and Ken Shipley describe how ‘vinyl’s violent sales spike has been a lonely bright spot in what has been a 14 year deterioration in sales of recorded music’. Yet the resilience of vinyl and other contemporary fringe uses of analogue media, such as the cassette tape and floppy disk, is not enough to stop the march of digitisation. For experts like Wright the digital future for the majority of people is inevitable, irresistible even, given how it enables collections to be open, replicable and accessible. Yet committing to digital technologies as a preservation and access strategy does not solve our information problems, as we have been keen to stress on this blog. 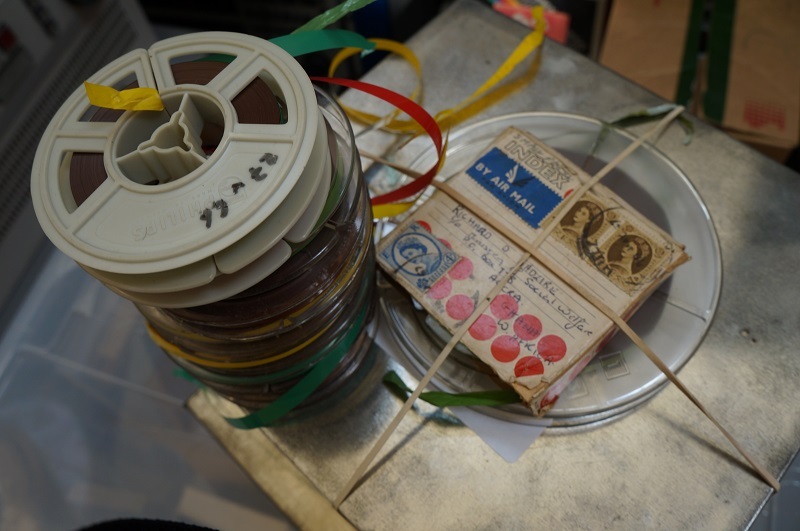 There is also a worrying lack of long term strategy for managing digital information, a problem which is ever more pronounced in film preservation where analogue tape is still marked as the original from which digital copies are made, as this article discusses. It is clear that the information we create, store and use is in transition. It probably always has been. The emergence of digital technologies has just made this a pressing issue, not only for large institutions, but for people as we go about our day to day lives. ‘Digitise now! !’ is Richard Wright’s advice – and of course we agree. 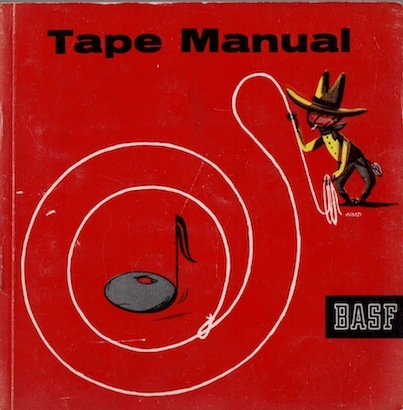 This is the opening paragraph to A Comprehensive Booklet on BASF Magnetic Recording Tape, published c.1965 by the German company BASF. 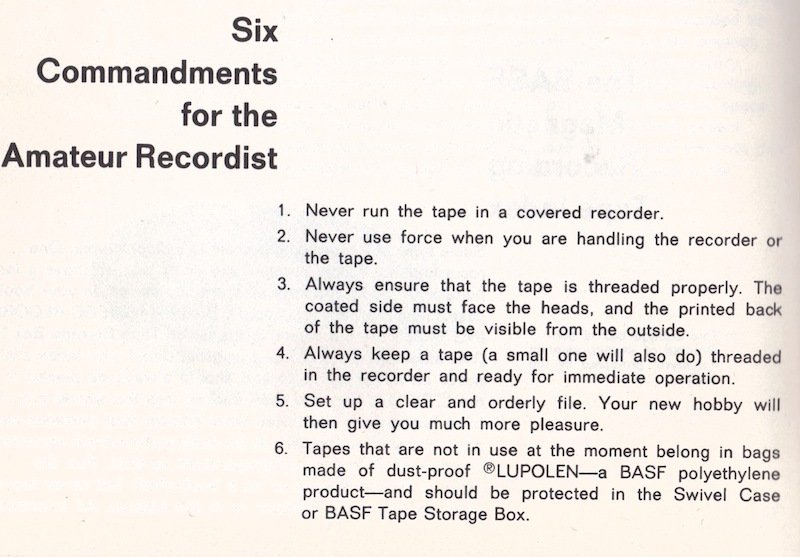 The booklet, that we will feature more of in later posts, offers advice and instructions on how to record sound on magnetic tape. While in today’s culture we may well have forgotten ‘to be awed’ by sound recording technology, there was a time when home recording was an extremely novel activity. 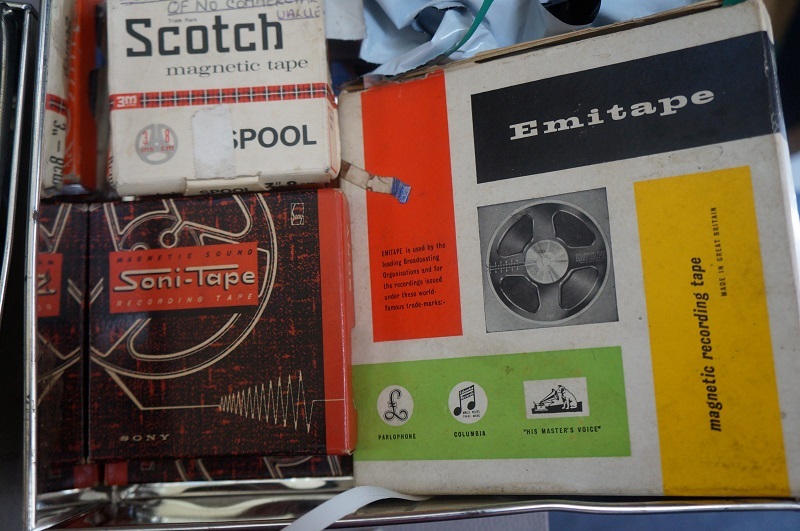 As our recent post about Brian Pimm-Smith’s tapes demonstrates, sound recording was done by enthusiasts – it was by no means an everyday activity. Tape recording clubs were however very popular in the 1960s-1970s, with groups forming all around the country. In contemporary western culture the use of recording technologies has become as common as eating or breathing. Mystery and magic are words not often used to describe our laptops, phones or tablets. Yet it may well be worth remembering how mysterious and magic technology can be. That the things we take for granted as part of our everyday lives were once new inventions that radically transformed perceptions and our ability to document the world we live in. A recent news report on the BBC website about recycling and repairing ‘old’ technology resonates strongly with the work of Great Bear. the time has come to move beyond the culture of incessant electronics upgrades and defeatism in the face of technical problems. We are preparing the ground for a future economy of maintenance and repair by reskilling, supporting repair entrepreneurs, and helping people of all walks of life to be more resilient. These tendencies have been theorised by French philosopher of technology Bernard Stiegler as the loss of knowledge of how to live (savoir-vivre). Here people lose not only basic skills (such as how to repair a broken electronic device), but are also increasingly reliant on the market apparatus to provide for them (for example, the latest new product when the ‘old’ one no longer works). A lot of the work of Great Bear revolves around repairing consumer electronics from bygone eras. 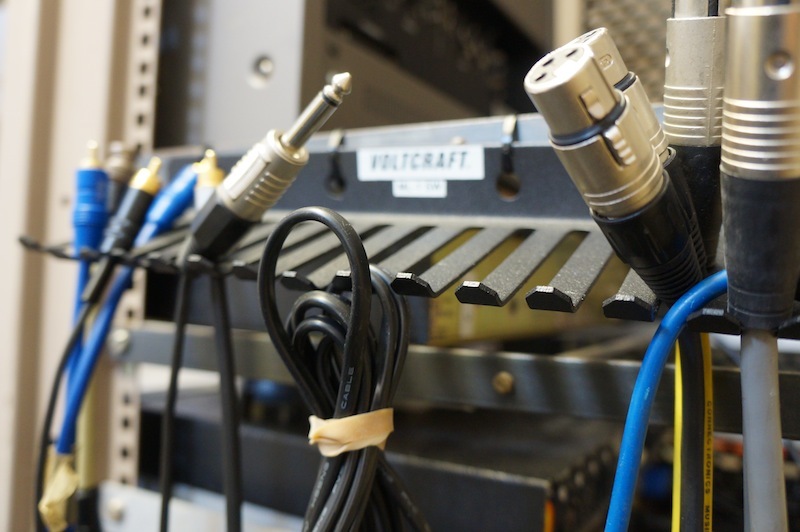 Our desks are awash with soldering irons, hot air rework stations, circuit boards, capacitors, automatic wire strippers and a whole host of other tools. We have bookshelves full of operating manuals. These can help us navigate the machinery in the absence of a skilled engineer who has been trained how to fix a MII, U-Matic or D3 tape machine. 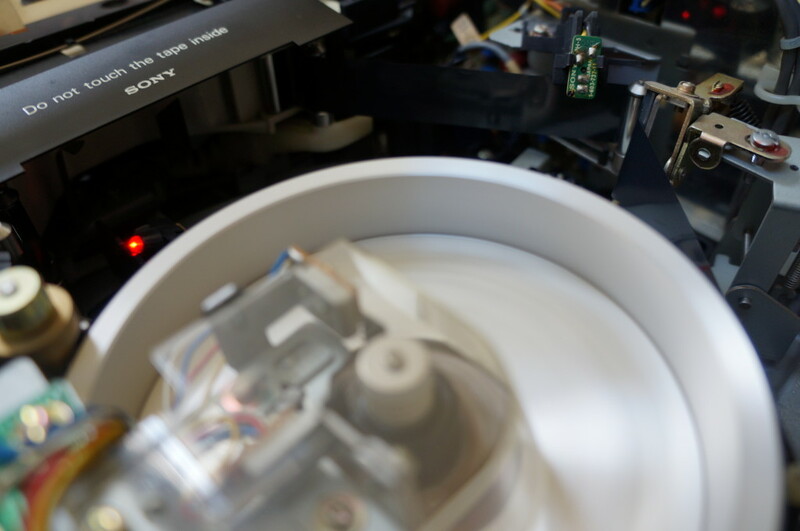 As providers of a digitisation service we know that maintaining obsolete machines appropriate to the transfer is the only way we can access tape-based media. But the knowledge and skills of how to do so are rapidly disappearing – unless of course they are actively remembered through practice. The Restart Project offers a community-orientated counterpoint to the erosion of skills and knowledge tacitly promoted by the current consumer culture. Promoting values of maintenance and repair opens up the possibility for sustainable, rather than throwaway, uses of technology. Even if the Restart Project doesn’t catch on as widely as it deserves to, Great Bear will continue to collect, maintain and repair old equipment until the very last tape head on earth is worn down. You are currently browsing the greatbear analogue and digital media blog archives for June, 2013.